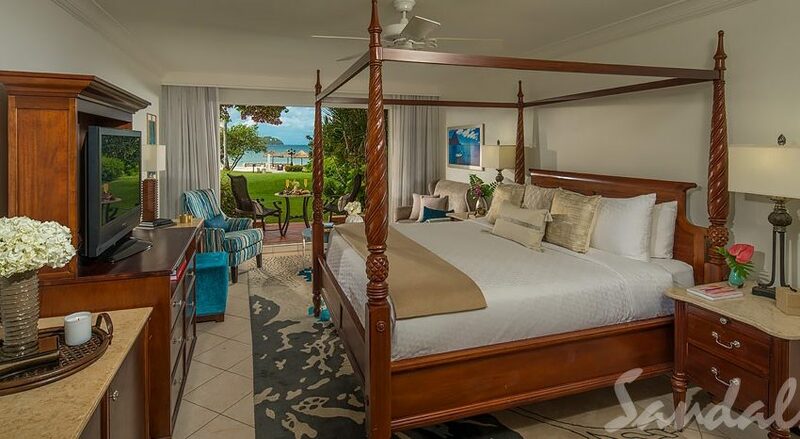 Welcome to the very romantic Sandals Grande St. Lucia Spa & Beach Resort, St. Lucia. Ideally located on its very own peninsula, Sandals Grande St. Lucian is often described as the “closest vacation to a picture-perfect postcard.” Cradled to the west by Rodney Bay – boasting the calmest waters in all of Saint Lucia – and to the east by the majestic Atlantic Ocean, this magnificent resort showcases awe-inspiring panoramic views that will linger in your heart forever. This is paradise as it was meant to be, full of natural beauty, rich in history, and resplendent in pure romance. These gorgeous over-the-water bungalows convey an intimate connection to the Caribbean Sea and deliver complete immersion of the fine turquoise waters and rich marine life below. Glass floor panels and lit water ensure you can enjoy undersea views at any time. 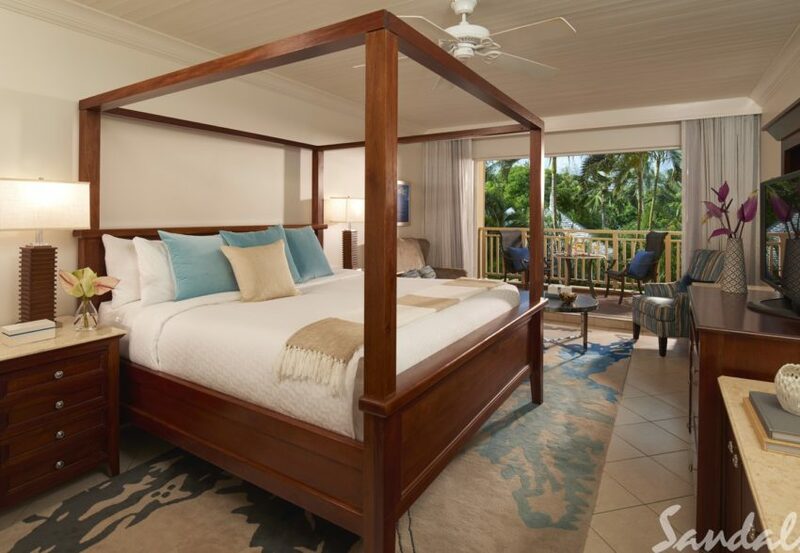 Located on the second level of the Cap Estate building, this cozy hideaway features a fully furnished private balcony nestled among the resort’s lush gardens. The spacious interior features a four-poster, king-size bed, a cozy seating area, and a flat screen TV. 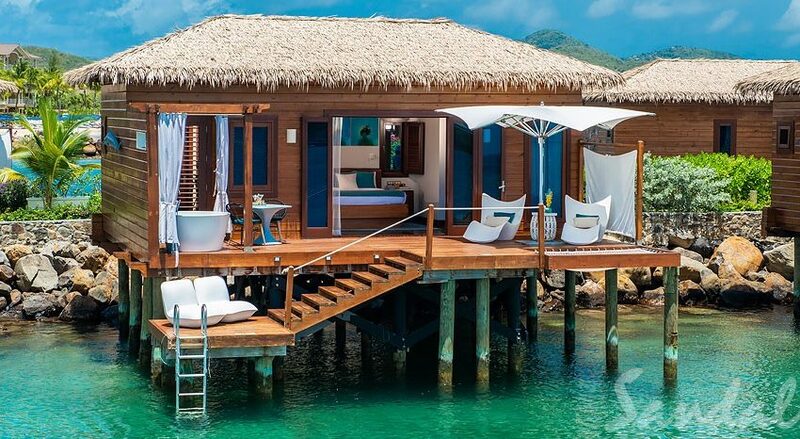 The new Over-The-Water Bungalows at Sandals Grande St. Lucian deliver an immersive journey of the Caribbean’s finest turquoise waters.